Only have 45 minutes spare time yet need to achieve the Gatsby good career guidance benchmarks? 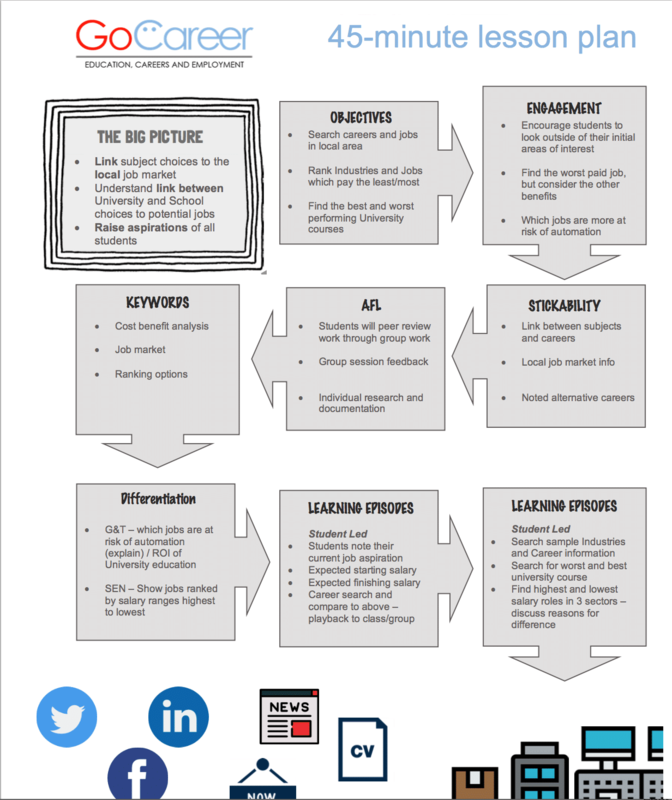 Look no further as we have produced a handy getting started guide and career lesson plan which you can use in any 45 minute lesson. 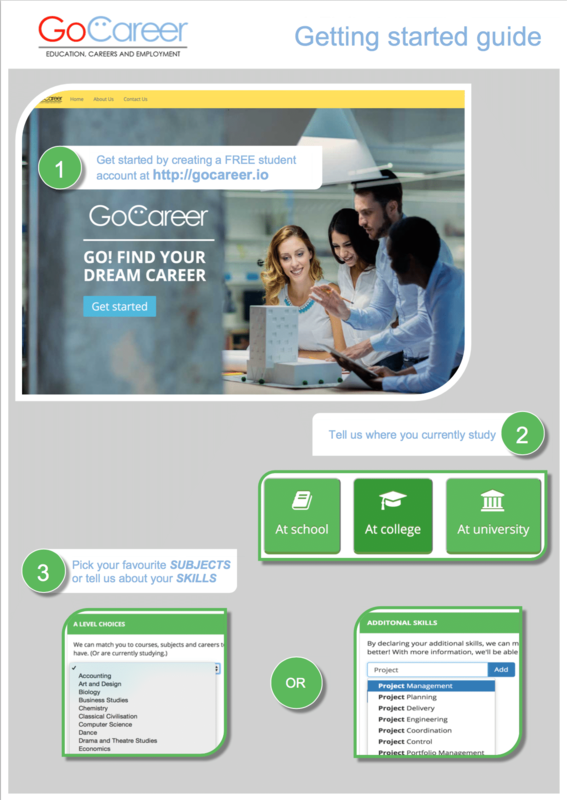 In combination with our GoCareer portal we ensure you can clearly link curriculum learning and subjects to careers, in addition you also search the local job market and raise students aspirations at the same time!